Create memes for your favorite photos. Turn your photos into artistic drawings. Learn to use the editor. Convert your SVG files in PNG images. Encode images in base64 for HTML inline insert. DRAW SVG is a free online application for creating drawings. Designed for all content publishers, info graphic designers and developers. Edit your drawings with a powerful SVG editor. Browse, publish, share and comment drawings with an original graphic social network. Create memes with your favorite pictures and photos. Turn your photos into Impressionist drawings with Photo to drawing Tool. Discover the use of the editor with the interactive learning Showcases Tool. Convert your SVG drawings to PNG images for publication. 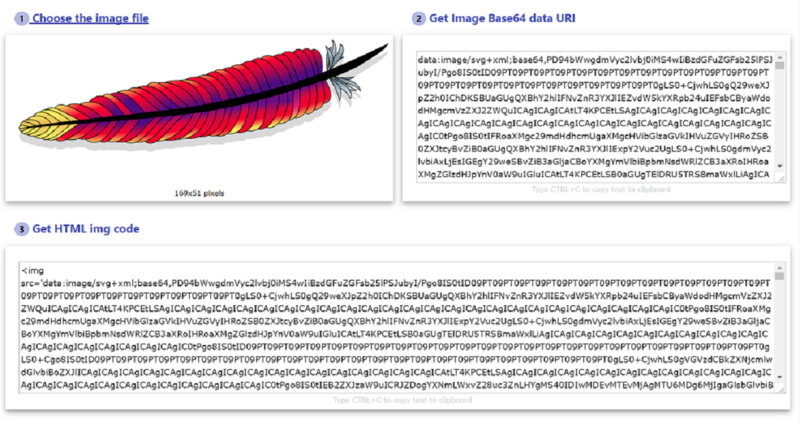 Encode your images (svg, png, jpeg) in base 64 for insertion into your HTML pages. Browse, publish, share and comment drawings. Learning the use of drawsvg is very fast and easy with the Showcases tool. This is a learning tool that allows to play DRAW SVG feature discovery animations. This tool reproduces the recorded mouse and keyboard events of a DRAW SVG usage sequence on its interface. 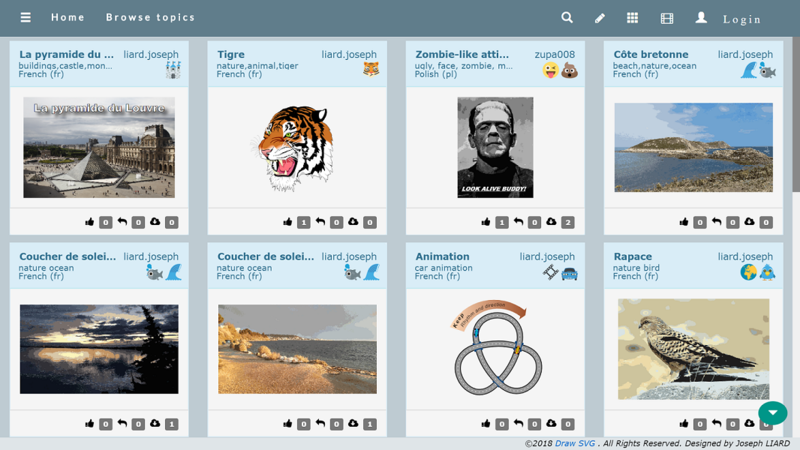 Is a social network that manages signed topics composed of a drawing and a description classified by keyword and emojis. Topics can be commented and followed by answers to build threads. Search latest topics by tags, keywords and emojis. Sign In with a google account to add, comment or reply topics. To add a topic, select the topic's drawing creation mode from 4 different (from an image file, from a svg file, new meme, start new svg), then set the description and its classification by tags and emojis. Reply to a topic by completing its drawing with the editor of DRAWSVG or by a new drawing. Edit your topics, drawings and descriptions. Choose an image or a photo. The meme can have up to three captions (top, center,bottom). Select a caption, enter its text. Background style and advanced properties (stroke color and filter). Then save the meme in SVG or PNG format. Finaly you can edit the drawing with the editor of DRAWSVG. Generating a drawing from a photo using the tool is very easy. It is achieved by reducing the dimensions of the photo and its number of colors. Then by extraction of the contours of the colors with filtering and smoothing of the vertices. Joseph LIARD is the owner of DRAW SVG. Is SVG expert and web development technologies, TOGAF-certified IS architect, practices UML-based design methods. Has more than 30 years of experience including 20 in the realization of information systems from the sector of the digital cartography to the applications RH and payroll followed by a specialization in the control of the architecture of the IS. Provides professional editing, writing and illustration services. Has contributed to DRAW SVG especially to the development of multi-language document functionality.